North Korea will send a national delegation to next month’s PyeongChang 2018 Winter Olympics in South Korea following Tuesday’s high-level talks between the two countries. The delegation will comprise athletes, officials and journalists who will attend the Winter Games, held from February 9 to 25. The talks, which took place in the border village of Panmunjeom, marked a significant breakthrough in the nations’ strained relations. 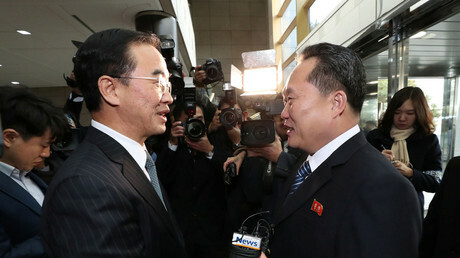 "The North side proposed dispatching a high-level delegation, National Olympic Committee delegation, athletes, supporters, art performers, observers, a taekwondo demonstration team and journalists to the Games," South Korean Vice-Unification Minister Chun Hae-sung told reporters when the talks had concluded. Heightened tensions between the two countries over North Korea’s nuclear weapons program raised serious concerns about security at the PyeongChang Games, with the US even considering a boycott. International Olympic Committee (IOC) President Thomas Bach has endorsed the countries’ attempts to ease tensions and controversies ahead of the 2018 Games. "The International Olympic Committee (IOC) warmly welcomes the proposals on which the Republic of Korea and the Democratic People’s Republic of Korea have agreed upon," Bach said. "These proposals mark a great step forward in the Olympic spirit," he added. 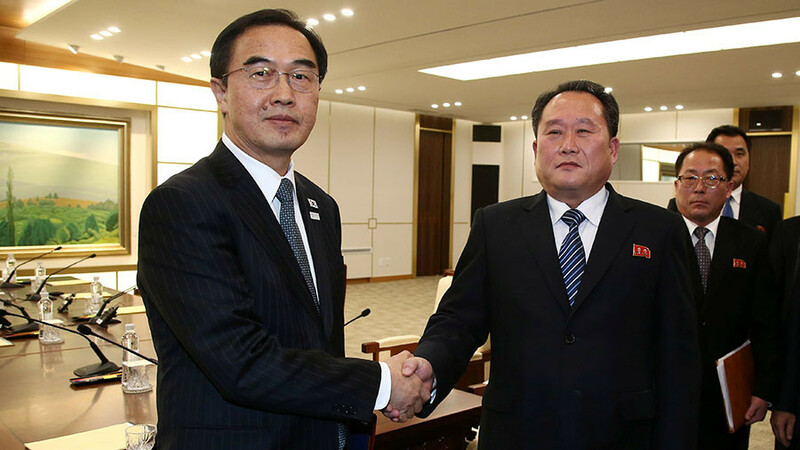 During the high-level talks, which were held for the first time in two years, South Korea proposed conducting joint marches with North Korea during the Games’ opening and closing ceremonies. The countries have also agreed to resume temporary reunions of families separated by war and reduce hostility between the two nations. Figure skating couple Ryom Tae-ok and Kim Ju-sik are the only North Korean athletes who have earned a PyeongChang berth so far. However, they could have lost the chance of performing at the Games had it not been for the IOC’s decision to extend the registration deadline for North Korean athletes, after the skaters missed the date to confirm their participation. It is also possible the IOC will grant wild cards to other competitors representing North Korea who failed to qualify. "Now the IOC is waiting for the official reports and the official proposals from the Tuesday meeting," Bach said following North Korea’s decision to send athletes to PyeongChang. The PyeongChang 2018 Winter Olympic Games will be the second Olympics staged on the Korean Peninsula, after the 1988 Summer Games in Seoul.